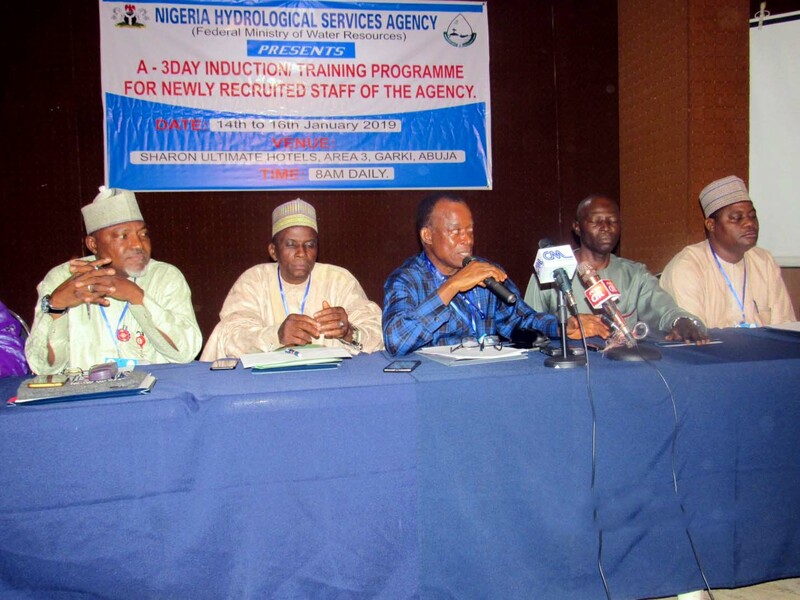 The Newly appointed Director- General, of the Nigeria Hydrological Services Agency (NIHSA), Engr. Clement Onyeaso Nze, Monday, hosted the maiden Press Briefing of the Agency at the Sharon Ultimate Hotel, Area 3, Garki, Abuja Nigeria. In his address, the NIHSA boss reiterated the Agency’s resolve to build strong and harmonious relationships with the press that guarantees timely and effective reportage of the pros and cons of water resources management activities in Nigeria. Quoting Lobsang Tenzin, Engr. Nze, stated that communication will bring understanding and understanding will cause harmonious mutual relationships which can establish peace and stability. 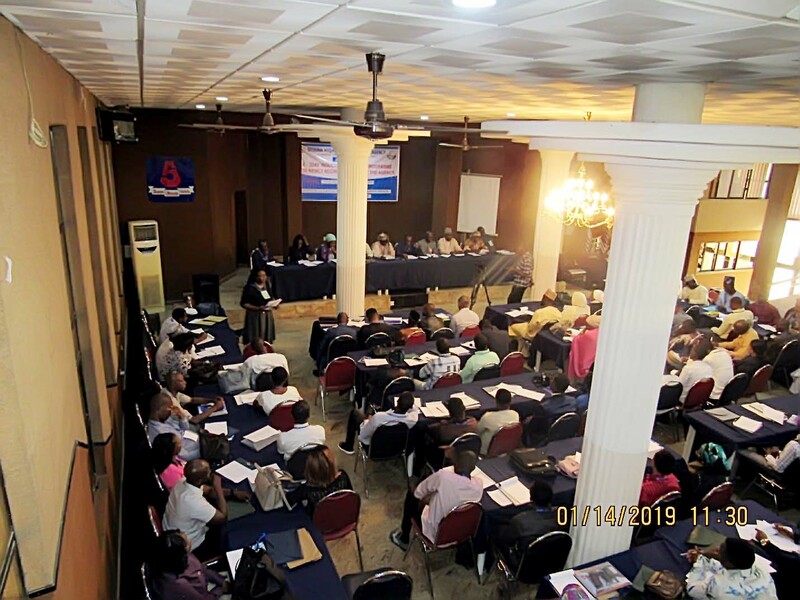 The NIHSA DG, explained that Since 2013 following the devastating flooding incidents that ravaged the country in 2012, NIHSA has remained at the forefront of providing accurate and early warning data/information on flooding incidents in Nigeria. In 2018, the NIHSA flood prediction alerts were widely publicized, and it served as the indispensable tool that guided agencies of government and non-governmental organizations in dealing with flood-related emergencies. The National Emergency Management Agency (NEMA) relies greatly on NIHSA data and flood alerts for effective early emergency preparedness and management of flood disasters. Engr Nze assured Nigerians that the flood predictions of 2019 will be announced by the Agency before the rainy seasons commence in March. 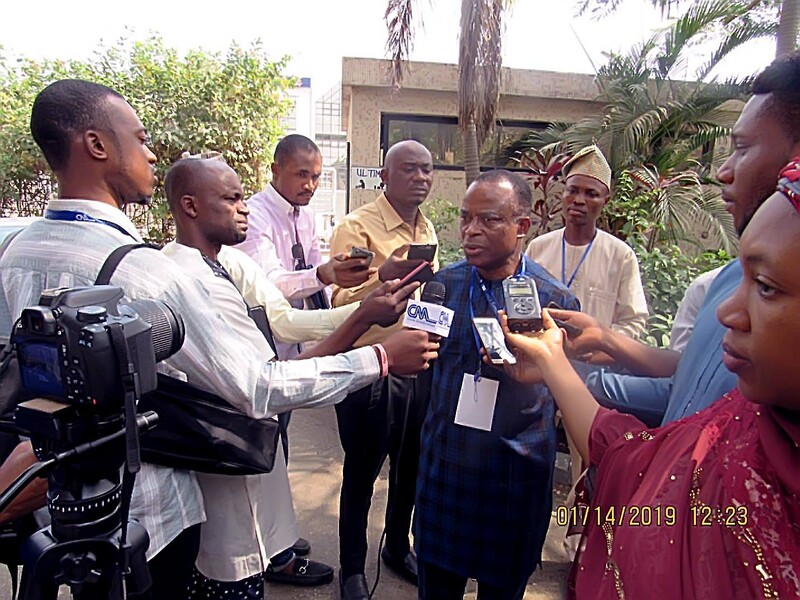 The Press Briefing preceded the 3-Day Orientation/Induction Training for newly employed staff of the Agency holding on the same date and at the same venue. The event was attended by journalists from seventeen media organisations , trainees at the workshop and top management staff of the Agency. Furthermore, Engr. C.O Nze invited the journalists to attend and report extensively the NIHSA upcoming National Stakeholders’ IAEA Water Availability Enhancement (IWAVE) workshop on the International Atomic Energy Agency (IAEA) Technical Cooperation Project-RAF/7019 titled “Adding the Groundwater Dimension to the Understanding and Management of Shared Water Resources in the Sahel Region of Africa”; slated for 24th-25th Jan, 2019 at the Rockview Hotel, Abuja. It is basically a technical cooperation project to be implemented through IWAVE Methodology in the Nigerian sector of the Chad and Iullemeden Basins. The workshop, according to the NIHSA boss is the second phase of the project, RAF7011 known as “Integrated and Sustainable Management of Shared Aquifer Systems and Basins of the Sahel Region” successfully executed between 2013-2016 by thirteen (13) African countries including Nigeria that are sharing five (5) trans boundary aquifer systems in the Sahel region.The Honourable Minister of the Federal Ministry of Water Resources, Engr. Suleiman H. Adamu, FNSE, FNAH, will deliver the Keynote Address and declare the workshop open 24th January, 2019. Head, Press & Public Relations, NIHSA.